The Department of Hindi was established in the inception year of the college i.e. in 1975. Ms M.Bhadrakali was appointed as a lecturer and acted as H.O.D. Presently Sri. 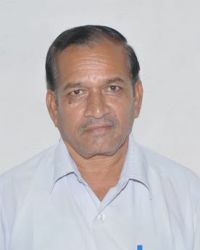 P.Gangadhara Rao is acting as a H.O.D since 2010. Hindi is a language of National significance. It is our National Language and it has very important, rich and glorious literature. Learning Hindi increases job opportunities in India.